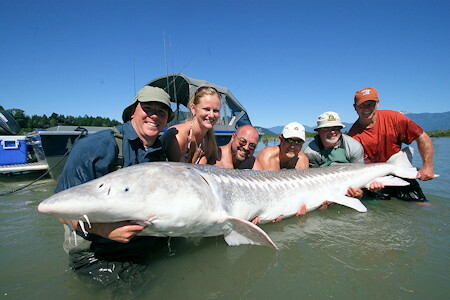 Guided Sturgeon Fishing. Salmon Fishing holidays. 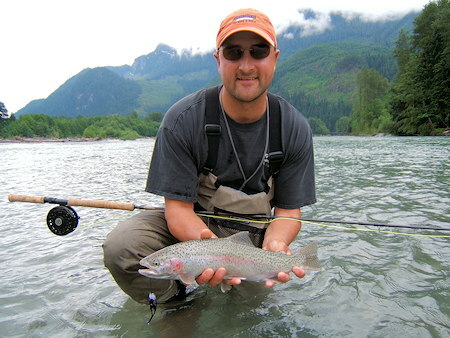 Fly fishing for trout, steelhead or salmon. 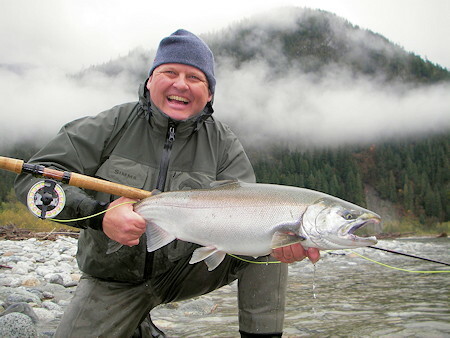 British Columbia's Fraser Valley is a sport fisher's paradise. The beautiful surroundings, endless rivers, streams, and lakes along with the prolific wildlife, friendly people, and great accommodation options attract anglers from around the globe every year. We are conveniently located in the middle of the valley with several rivers that are very productive and popular due to the tremendous returns of wild salmon, steelhead trout, and prehistoric white sturgeon. There are several very successful fish hatcheries that generate huge returns of hatchery fish to the local rivers as well. The mighty Fraser River is the main artery of millions of migrating salmon that pass through on the way to the spawning grounds. 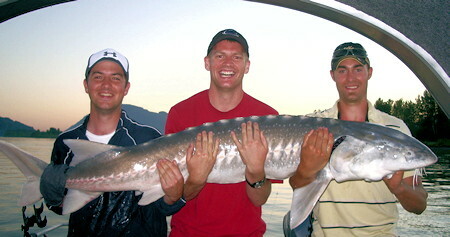 This river is home of the long lived white sturgeon, the largest fresh water fish in North and South America. These monster fish grow to over one thousand pounds and live nearly 200 years. They are considered to be one of the most spectacular fresh water sports fish, having the reputation for their size, strength, and impressive jumps. The Fraser River provides us with the last healthy wild stocks of this species in the world. A catch and release fishery has been in place since 1994 and with the monitoring done by our sport fishing guides in conjunction with the Fraser River Sturgeon Conservation Society tagging study our sturgeon fishing industry remains strong. BC Sport Fishing Group Ltd. is the parent company of Harrison Bay Guided Services, Fred's Fishing Adventures, BC Fly Fisher Guiding Company, and Kodiak Fishing Adventures. Our guiding company, established 26 years ago, has grown from a one person operation to a guiding company with 22 full and part-time fishing guides. Our objective is to give clients the best possible fishing experience and to accomplish that we have attracted the most experienced, dedicated, and knowledgeable sport fishing guides in the industry. Our team includes full time guides that specialize in salmon, sturgeon, and trout fishing, along with part time employees that guide, market, and support the company in a multitude of ways. BC Sport Fishing Group Ltd office operates out of the Harrison Hot Springs Resort & Spa located on the shores of Harrison Lake in the resort community of Harrison Hot Springs British Columbia. 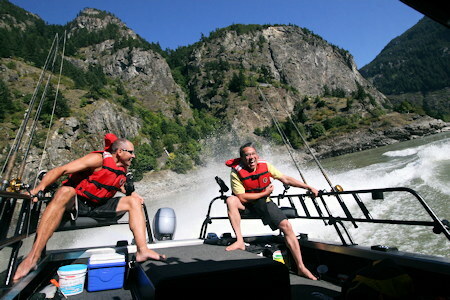 This resort holiday destination offers world class salmon, steelhead, trout, and sturgeon fishing charters right from the adventure park marina located directly in front of the Resort right where the lake enters the Harrison River system. Not only do we leave from marina in Harrison Hot Springs but we also depart from boat launches through out the Fraser valley and greater Vancouver area.